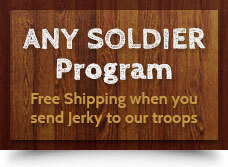 Give someone special a $100.00 gift card from Whittington's Jerky. Let them come in and pick something special for themselves. Want another amount not listed online? Just give us a call during normal business hours and we will be happy to assist you.